Friedrich Schiller was not only one of the most important German-speaking dramatists – he was also Mannheim's first playwright. In acknowledgement of this, Mannheim National Theatre holds the International Schiller Festival every two years, at which a variety of productions from classical to contemporary shed light on the modern relevance of Schiller's writings and ideas. In the true spirit of this great poet, time is also set aside for discussions and debate. 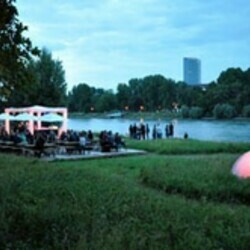 The Festival of German Film is held in a park on the banks of the Rhine on the outskirts of Ludwigshafen. Its aim, say the organisers, is to promote high-quality German films regardless of their box-office success. The festival also pays tribute to outstanding German-language films from other countries. The best film of the festival is presented with a cinematography award. Around 35,000 people cast their vote for the audience award.